The Boreal Wilderness Institute (BWI) is a World Class Outdoor Education Institute that since its founding by Bruce Zawalsky & John Caldwell in September of 1994 has Taught Professional Instructor-Led Field Safety Training in Wilderness Survival, Navigation, Wildlife & Bear Awareness. We regularly offered a variety of Courses and Seminars Teaching in British Columbia, Alberta, Saskatchewan, Manitoba, Ontario & Northern Canada. BWI offers world class Modern Wilderness Survival and Wilderness Navigation Training. We also provide Wildlife Awareness, Wilderness Skill Building Programs, Custom Corporate & Group Training Programs, along with our Wilderness Certification Programme. We continue to be a Resource in the Field of Outdoor Education. We have provided expert instruction to Dozens of Organizations included; Alberta Environment & Sustainable Resource Development, Alberta Research Council, ATCO, AREVA Resources, Aurora College, Canadian Coast Guard, Canada Publics Works, Environment Canada, Golder Associates, NAIT, Royal Canadian Mounted Police, Saskatchewan Environment, SAR Alberta, SARDAA, TELUS and many other Groups & Corporations. 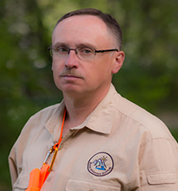 Bruce is an expert at Teaching Professional Instructor-Led Field Safety Training in Wilderness Survival, Navigation, Wildlife & Bear Awareness. 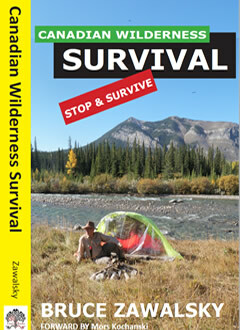 He is the author of Bestselling Survival Book Canadian Wilderness Survival, a 450 Page Full Colour Guide to Modern Wilderness Survival Techniques in Canada. He has over 25 Years’ Experience Working as a Professional Wilderness Survival Instructor, and fifteen more of serious travelling in the Canadian Wilderness. He has a practical Hands-on Philosophy on the Teaching of Modern Wilderness Survival. His Monthly Podcast the Canadian Outdoor Survival's Podcast is available Directly or through iTunes. This expertise ensures you will get the best available outdoor education training in Canada. 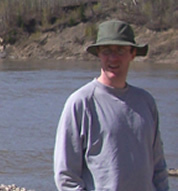 Bruce guided his first Backpacking Group in the Mountains in 1981. Since then he has developed his skills in leading groups and team building at the University of Alberta, Augustana University College, PADI College, the Nordic Ski Institute, and through over 35 Years of Military Experience, serving in the Loyal Edmonton Regiment. He is a Lifelong Outdoor Enthusiast, completing a 90 day 3600km Canoe Expedition, Crossing 4 Provinces as the highlight of his Outdoor Education training at the University of Alberta. Over the last 40 years, Bruce has canoed, skied, snowshoed and hiked 1000's of Kilometres of the Canadian Wilderness. Bruce Zawalsky is a true authority on wilderness survival, wilderness navigation, wildlife and bear awareness and wilderness travel by canoe or foot. Why not train with Bruce Zawalsky, Canada's only active Survival Expert & Author? Bruce has studied with Mors Kochanski and developed his teaching skills through years of instruction and practice. This along with his vast experience has allowed him to pass on his great wealth of knowledge of modern wilderness survival, wilderness navigation, and wilderness travel. He is also BWI's Custom Training Specialist. "Survival is Simply the Art of Being Prepared to Live Well Everywhere You Plan to Go"
James is an individual who never loses his Smile, even in the Worst Conditions. He has been a Soldier, EMT, Wilderness Firefighter, First Aid Instructor, and a Registered Nurse. He has studied Jungle Survival, Extreme Cold Weather Travel, Emergency Water Purification, and Emergency Preparedness. James always shows great drive and determination along with a truly Professional Outlook on Safe Wilderness Travel."